"Employers' Dialogue Session with Students"
*** USSDC Points and Certificate of Attendance will be given with full attendance. 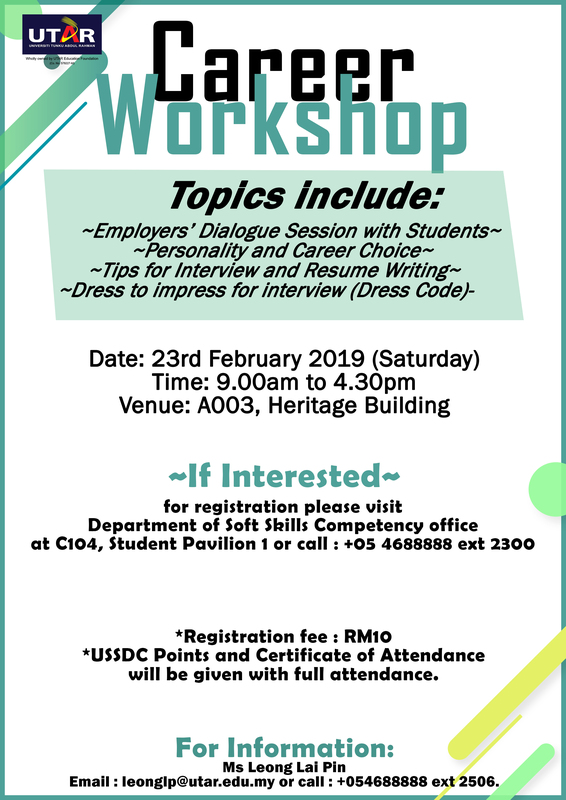 Registration fee is RM10.00, for registration please visit Department of Soft Skills Competency office at C104, Student Pavilion 1 or call : +05 4688888 ext 2300. If there is any inquiry, please contact Ms Leong Lai Pin or Email : leonglp@utar.edu.my or call : +05 4688888 ext 2506.